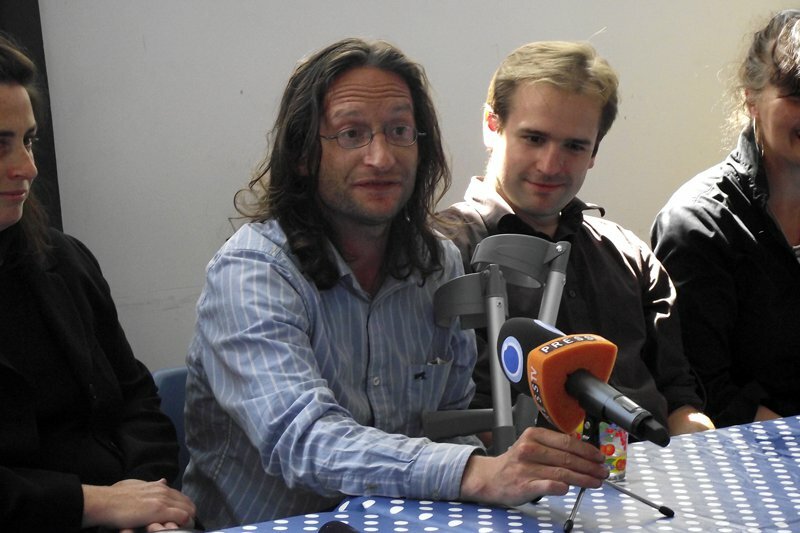 Long-term Brightonian human rights activist, Simon Levin, passed away on Friday 24th June, at the age of thirty-six. He spent much of his life fighting against injustice . Attending pickets during the miners’ strike when he was a young boy, Simon was then an active supporter of the Irish struggle against imperialism and, during the last decade, involved in action for Palestine and against the Iraq war. Simon was from a Jewish background; his great grandparents were murdered at Auschwitz. This was one of the reasons that he joined the Palestinian struggle against Israeli apartheid. In 2004 Simon travelled to Palestine and spent months as an international volunteer in Balata refugee camp. During Israeli army incursions Simon provided an international presence designed to make people in the camp safer and support Palestinian resistance. In 2008 he led a delegation to the Jordan Valley and worked with Palestinians to establish Fasayil School, despite Israeli military orders that building was prohibited. This entry was posted on July 8, 2011 at 10:29 am	and is filed under Memorials. Tagged: Brighton, Simon Levin, Smash EDO. You can follow any responses to this entry through the RSS 2.0 feed. You can leave a response, or trackback from your own site.